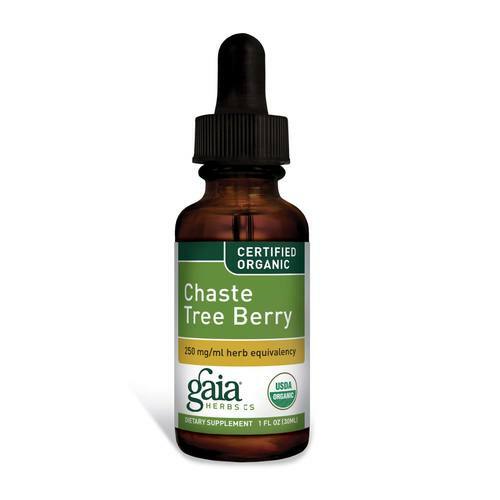 Organic Chaste Tree Berry by Gaia Herbs contains a 1:4 Herb Strength Ratio. Notes: 100% USDA certified organic, 100% vegan, no animal byproduct, tested for purity, free of pesticides and heavy-metal toxicity. Recommended Use: Take 30-40 drops of extract in a small amount of water 3 times daily between meals.